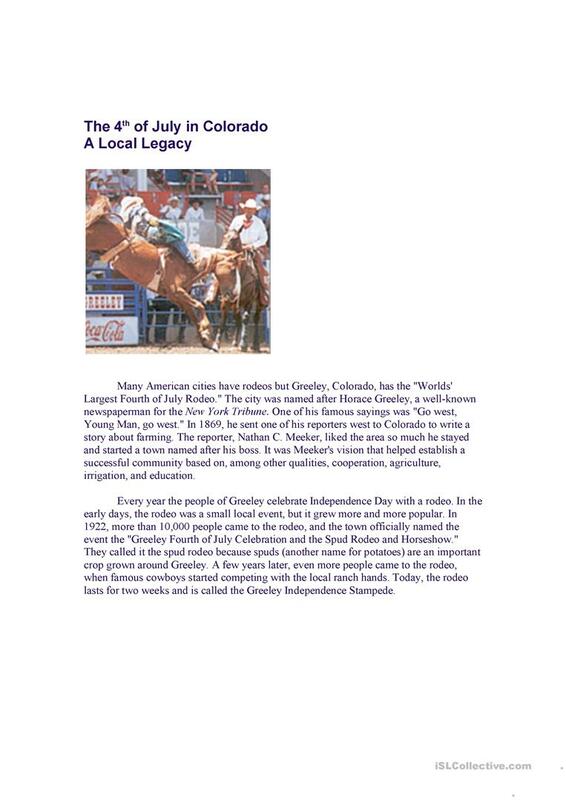 A reading exercise about a rodeo 4th of July celebration in Colorado. Includes vocabulary exercise and comprehension questions. 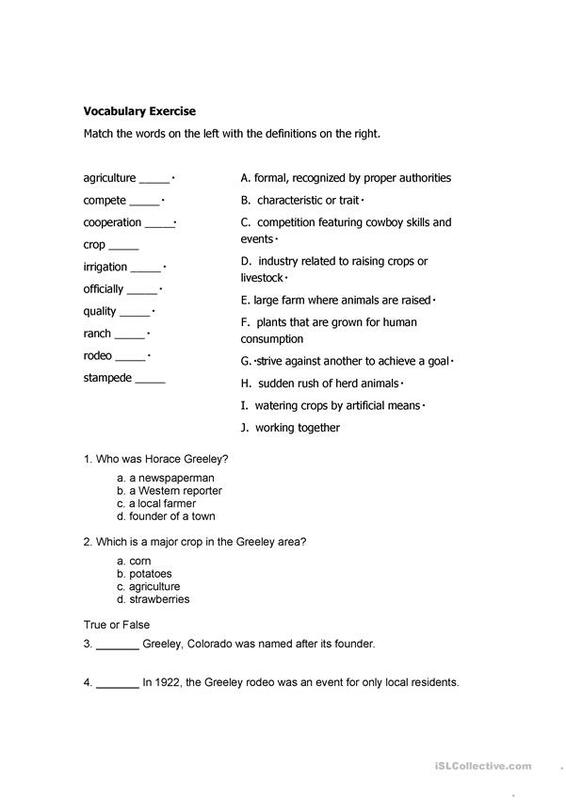 The present downloadable teaching material is intended for adults at Pre-intermediate (A2) level. It is excellent for honing your learners' Reading skills. It is focused on the theme of Holidays. SonjaN is from/lives in United States and has been a member of iSLCollective since 2013-01-11 14:39:45. SonjaN last logged in on 2014-01-12 17:30:37, and has shared 1 resources on iSLCollective so far.